Divine Essence Frankincense Essential Oil has a powder, amber scent with lemon undertones. Very good quality and great for your skin. Will buy again. This oil is amazing stuff. I used it to get rid of a little spot on the side of my nose that I believed was cancerous. I used the oil straight on my skin daily and it worked after about three weeks. Super impressed with this oil. It's divine on my skin. I used this to make a new face serum. Love it! Thank you. 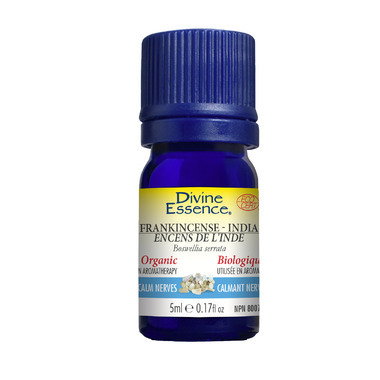 This Frankincense essential oil is high quality and effective. I love it.